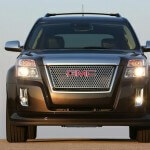 The all-new 2013 GMC Terrain Denali will start at $35,350 MSRP and will on sale in August, this year. 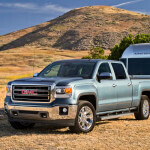 The exclusive Denali sub-brand of GMC means big business for General Motors. The Denali sub-brand sold more vehicles than all of Land Rover and Jaguar did in the U.S. Until now, the luxury Denali trim level has been offered on the Sierra, Yucon and Acadia models. 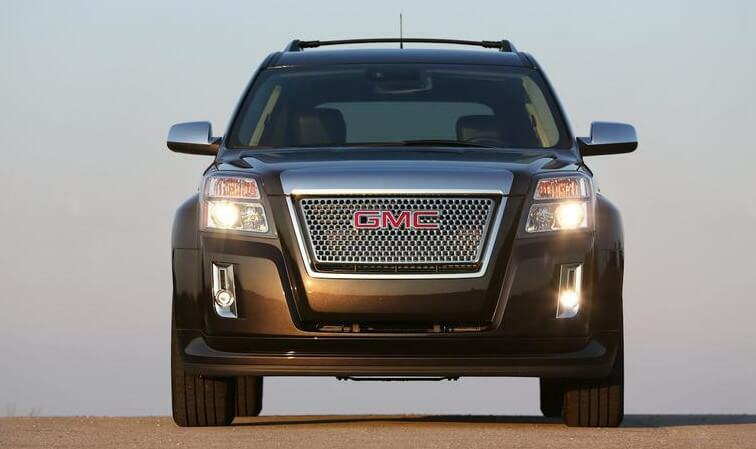 Now, GMC Terrain has also entered in the luxurious Denali-branded family. The 2013 GMC Terrain Denali edition comes with all the standard features found on the base Terrain and adds Denali-specific exterior and interior features. These include signature chrome grille, satin chrome accents, body color front and rear fascias, new headlamps and taillamp designs, leather-wrapped steering wheel with smoked mahogany wood accents, soft-touch instrument panel, Denali illuminated front still plates and more.